Do you want to edit your monthly recurring donation? That's easy! You have the ability to change the amount you are giving or the date you give on. Watch the video or follow the instructions below to learn how! Step 3: From the edit screen you can edit the dollar amount and/or the donation date. **NOTE: If you would like to pause or cancel your recurring donation, then you can do it from the same screen as step 2 above. Instead of selecting 'Edit', select 'Pause' or 'Cancel'. 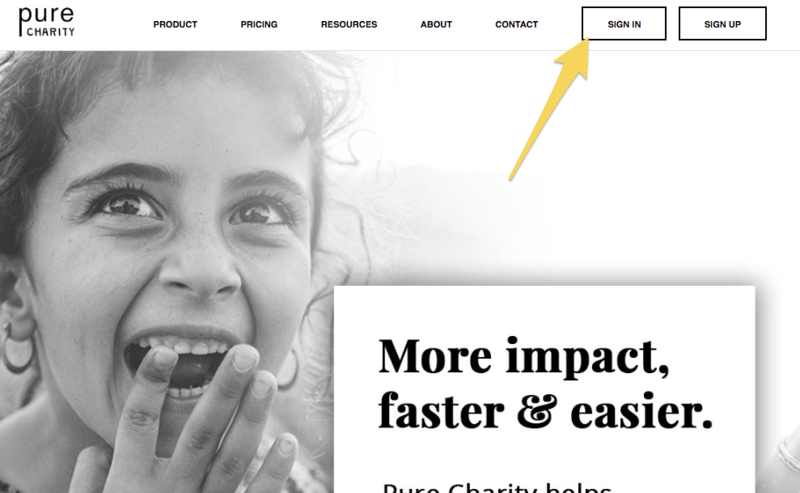 If you would like to edit a recurring donation from your checking account, please email help@purecharity.com with your request. Please include the following information in your email: donor name, donation amount, last 4 digits of your bank account, the date it drafts & the requested change.